Summer is here and the winter blues have gone, it is time for pink lemonade, pink sunsets and looking at the world again with rose tinted glasses. Here to celebrate summer we have showcased a beautiful wallcovering from Signature Prints which will feature in a new pool house project at Fletching Lodge in Sussex. 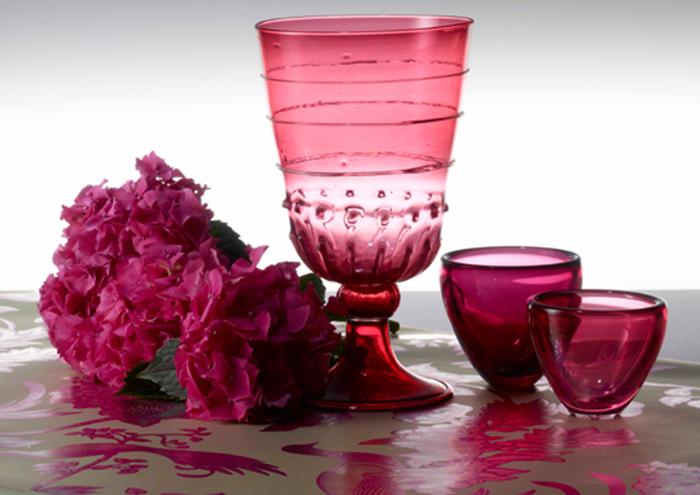 In addition we have featured an antique Murano glass vase with beautiful pink english hydrangeas…have a wonderful summer! © 2019 Lynne Hunt London.